Auto/Manual Focus | My Thinking Out Loud! Auto/Manual Focus – My Thinking Out Loud! Like the WB setting, the Focus setting is there as a last resort. If you’re looking to produce a soft focus effect, this is the wrong way to do it. Save it for post-process. Shoot first! It’s easy to blur a picture. It’s impossible to sharpen a blurred one. There are only a few scenarios that I have experienced that require manual focus but it’s the difference between a great photo and a ruined one! The keywords are “critical focus.” Basically, it means that the target of your focal point is so small that the Autofocus (AF) system will almost always get it wrong. The reason for this is simple. For non SLR systems which use Contrast-detection for AF, the image processor needs edges with high contrast in order to focus properly. However if your target is very small, like the compound eyes on an insect or the hair on a spider’s leg; Or if your target is very far away & thus looks small; Or if the target is transient, like a cloud with no definable edge; Or the surrounding is so dark & the focus light is useless, the AF system can be easily defeated. These are some of the scenarios where manual focus (MF) is required. 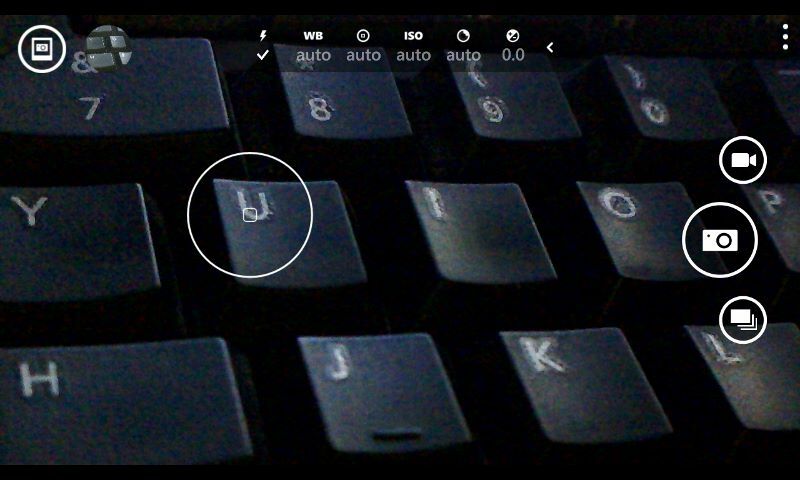 The most important tip about using MF on the Lumia 1020 is to ZOOM IN! Yes, to achieve critical focus, you need to zoom in first so you can see what you’re shooting. In cameras like the Olympus Pen, using MF automatically trigger a 7x zoom. Note that this tip only works in daylight & low-light. It’s less useful at night. This is important because in the case of shooting an insect, you’re using Macro mode with a VERY shallow depth of field (DOF). This means that just a few mm movement of the lens will result in the wrong area being in focus. Zooming in allow you to critically focus on the correct area of interest. Shooting clouds can be challenging too! Try it! In DSLR, the DOF can be adjusted by closing the aperture but for the Lumia 1020, it obviously doesn’t have an aperture and is considered open all the way, thus creating this shallow DOF.